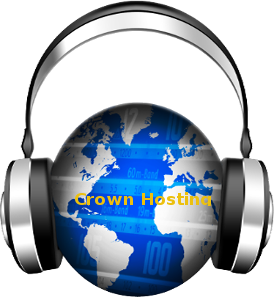 A streaming server is a software program that allows listeners to tune into an Internet radio station and listen to an audio stream. The streaming server program is to Internet radio what a broadcast tower is to terrestrial radio, and it virtually always runs on the same computer as your Centova Cast installation. Examples of streaming server programs include ShoutCast and IceCast. A streaming source is a software program that feeds an audio stream (usually music) to a streaming server. The streaming source is to Internet radio what the DJ studio is to terrestrial radio — it takes the actual music and sends it to the server for broadcasting to your listeners. The streaming source does not need to run on the same computer as your Centova Cast installation; in fact, it can run anywhere — even on your personal computer at home if desired. For stability/reliablity reasons, however, most professional stations do run the streaming source on same computer as the streaming server. Examples of server-side streaming source software include sc_trans and ices. These typically run on the same machine as the streaming server. Examples of client-side streaming sources include edcast and the ShoutCast Source Plugin for WinAmp, both of which typically run on DJs’ personal computers.